To Nancy Kurtz - Teaching is a Good Part of a Great Life. Nancy Kurtz has been in education since 1984 at both Dana Hills High School and San Clemente High School. She started her career in education as an instructional assistant in the Resource Specialist Program (RSP) at Dana Hills High School. During that time she decided to make education her career and returned to college to obtain a special education teaching credential. Nancy’s career at San Clemente High School began in 1992 when she was hired to teach students with learning disabilities in the Special Day Class (SDC) setting. After one year in this program Nancy transitioned to the Resource Specialist Program for students who have mild to moderate Learning Disabilities. As a valuable member of the special education department it was only natural that Nancy should become the Department Chairperson in 2002, a position she continues to hold today. 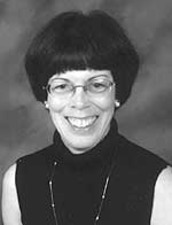 The 16 teachers in her department consider Kurtz to be supportive of all the different special education programs at SCHS, extremely organized and efficient, compassionate, knowledgeable about her subject area and very generous with her time in assisting teachers to be successful in their classrooms. Assistant Principal, Janet Sobel feels that Nancy is one of the most genuinely kind professionals she has ever had the pleasure to work with, and that there simply could not be a teacher who cares more about what is best for students. Although Kurtz puts in long hours at school, this is only a part of her very rich life. She has been married to Gary Kurtz for 36 years. They have two sons, Jeff, 32 and Doug, 29. Both sons are married and live in Southern California, making it very convenient for Nancy and Gary to see their brand new 3-month-old Grandson, Nathan. Nancy and Gary taking a relaxing break. In addition to spending time with her family, Nancy also enjoys reading, working in her garden and traveling . She and Gary have season tickets to the Angels and can frequently be found at Edison Field cheering their team on. During her summers off Kurtz returns to her childhood family cottage in Door County, Wisconsin where she relaxes, enjoys life at a slower and simpler pace and regroups for the next school year.